The cardiostrong rowing machine RX40 is a modern rowing machine of high-quality workmanship in a dynamic and sporty design. Featuring 28 exercise programmes and four different user memories, it allows for a customised training. 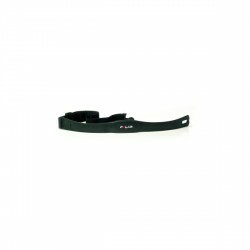 The combination of air and magnetic resistance ensures an even stroke and a smooth running of the rowing machine during the exercise. 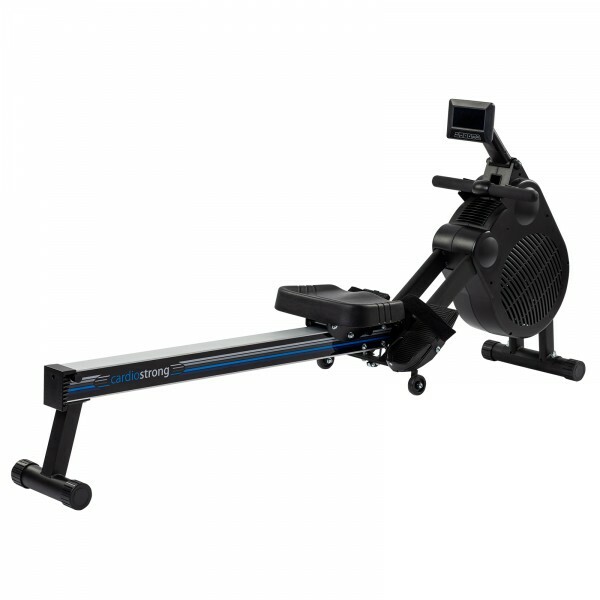 Varying performance levels and training progress can be controlled by this rower as it has 16 resistance levels. A cardiovascular training can be done using an optionally available chest strap, thanks to three heart rate controlled training programmes. The large and user-friendly LCD display shows all important information during the training at a glance. The solid and sturdy construction of this rowing machine ensures maximum comfort and durability. An integrated folding mechanism and transport wheels allow to move and stow away the cardiostrong RX40 quickly and easily. In order to provide the perfect sitting position, this dynamic rowing machine comes with a ball bearing mounted seat and adjustable foot straps. The RX40 convinces by a dynamic and elegant design which allows it to blend in with any fitness facility.